This year My Morning Jacket released The Waterfall, their seventh album, which debuted at number 11 on the Billboard 200. In recent years they’ve opened for the likes of Bob Dylan, Neil Young, and Tom Petty, played all the big festivals including their own, One Big Holiday, and been nominated for two Grammys. Everything they do; every show they play, every record they release, every appearance they make, becomes a huge music world event. All this is owed to Z, the album they released 10 years ago. Since their formation in 1998, My Morning Jacket built a steady fan base throughout the indie scene. They were this cool little southern rock band who could play folky ballads as well as heroic guitar solos. Their major label debut, 2003’s It Still Moves, was critically acclaimed. It seemed they had reached their peak. Then, for their next album, they replaced two band members, worked with an outside producer for the first time, and topped themselves. With Z they accomplished the rare feat of gaining loads of new fans while not alienating their core audience. They courageously indulged all of their impulses while not losing their sound. Just listen to “It Beats 4 U.” Tense, Radiohead-style indie rock rubs up against southern folk with a twist of New Wave and the result is beautiful. They were probably listening to a lot of dub so they wrote a dub song, and when it came out the other end of the MMJ wringer it was “Off the Record,” a big rock single that quotes “Hawaii 5-0” and breaks down to drum machine, synths, and noodley guitars. It’s not all creative flights of fancy though. “Gideon” is a big rock song, plain and simple, while “Lay Low” is a Grateful Dead-style ballad with a devastating guitar solo. Songs like these don’t experiment much but they do show the band reaching higher and farther in songwriting and musicianship. Still, the daring moments are the best. Just listen to the album-opening “Wordless Chorus.” To try to accurately describe it would require way too many genre hyphenations yet it’s a pretty simple song. 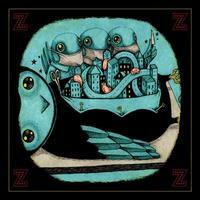 When you press play on Z and “Wordless Chorus” comes on, you don’t quite know what your getting into but your head starts to nod up and down and you can’t wait to see where they’re headed from there. Ten years on, nothing’s changed.